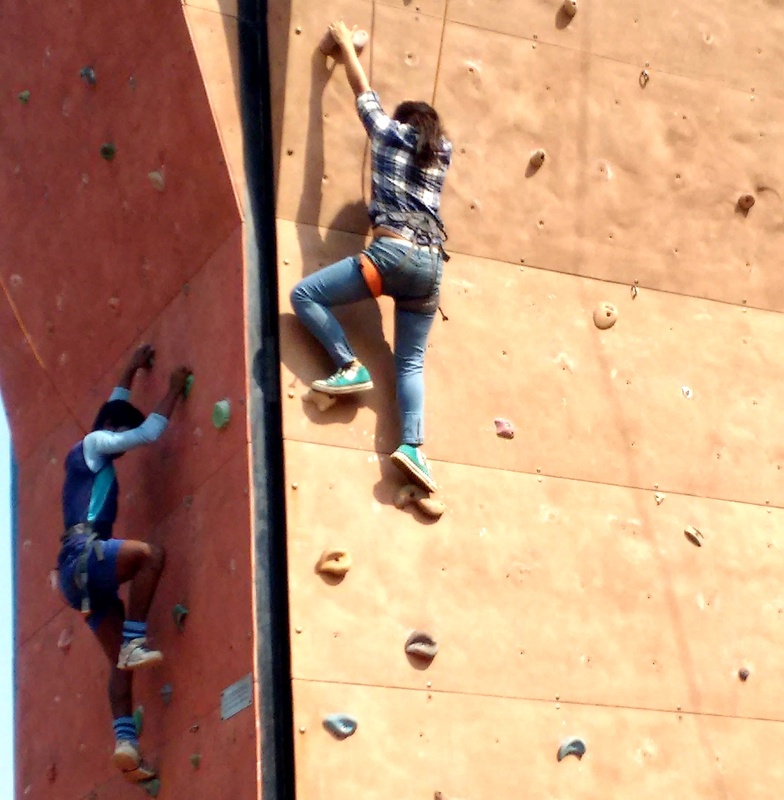 A crash training on rock climbing was given to the participating students from NSHM College of Management & Technology, Kolkata. The programme began with a welcome address by Mr. Amulya Sen, eminent mountaineer and President, NAF. It was followed by an introduction on various equipment required for rock climbing and demonstrations of rock climbing by NAF trainers. Then all the students were encouraged and made to ascend the artificial rock, one by one. Students with all their enthusiasm and excitement put in their best efforts to reach the top. The programme ended on a happy note with certificate distribution.